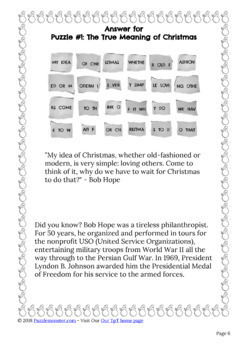 Beloved entertainer and humanitarian, Bob Hope, once said: "My idea of Christmas, whether old-fashioned or modern, is very simple: loving others. Come to think of it, why do we have to wait for Christmas to do that?" A fun fact is included with the answer, so it's an easy way to augment a lesson. 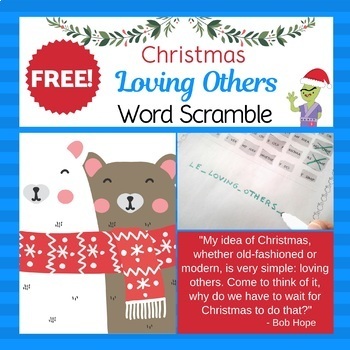 Plus, it's editable so you can use it year round! 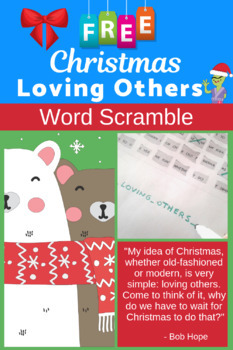 Looking for a team-building Christmas activity that fills an entire period? 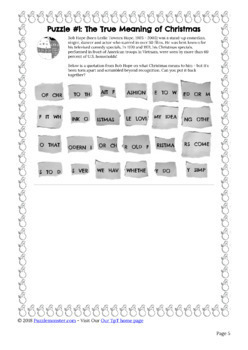 This puzzle is included as part of our Christmas Break Out Box, which contains 3 other puzzles and lets students create their own Christmas silly elf prize!